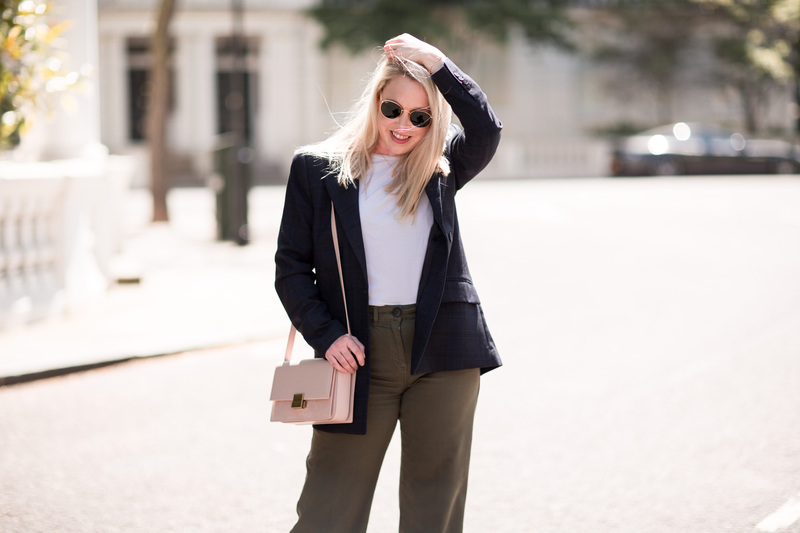 Whilst I’ve debated the validity of my personal style, or lack thereof sometimes, many a time, it is fair to say that I do have a rather fail safe ensemble that I rely on time and time again – just scroll my outfit pages if you don’t believe me. 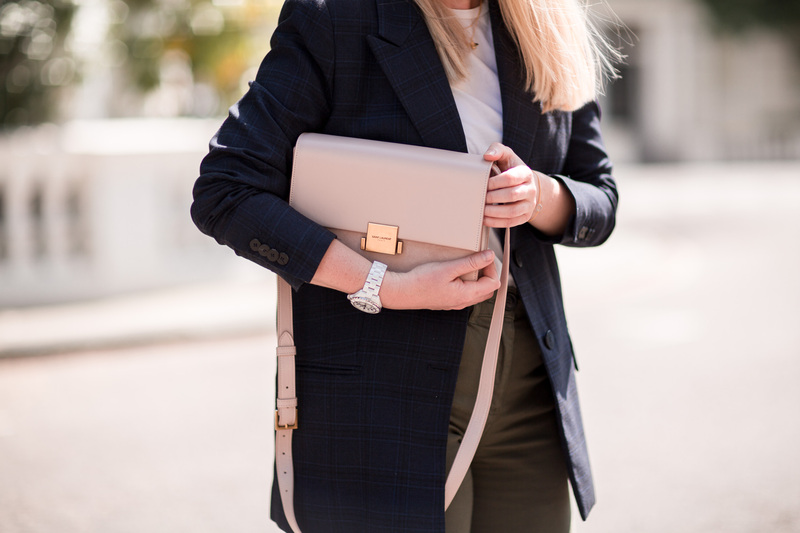 Whether or not it suits me, flatters my shape or ticks all the ‘fashunn’ boxes, it’s a look I feel comfortable in, a look I feel is work and life appropriate, and also one that’s easily translated into each season with only a few small updates (length or trouser, material of blazer, type of shoe, tee versus sweater … etc). 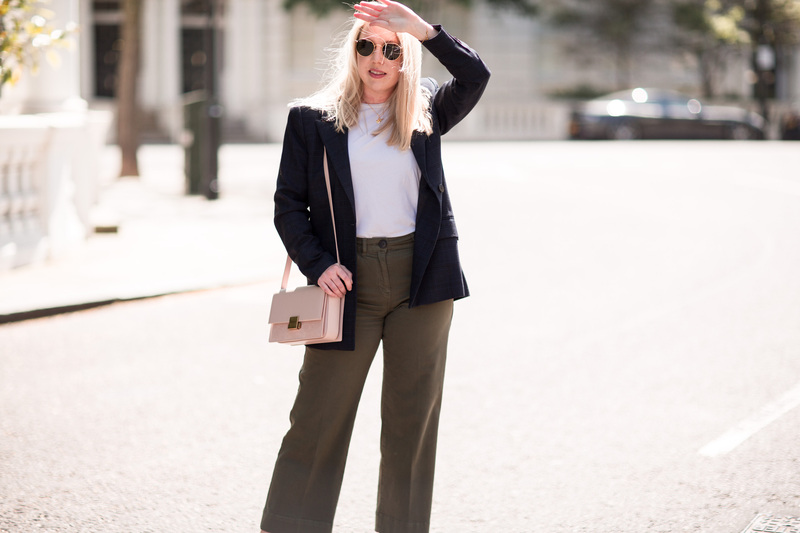 You won’t be surprised to know the ensemble is of course a boyfriend blazer, cropped trouser (or jean) and a tee. It’s old hat on mediamarmalade. But this specific combo is ‘fresh in’. 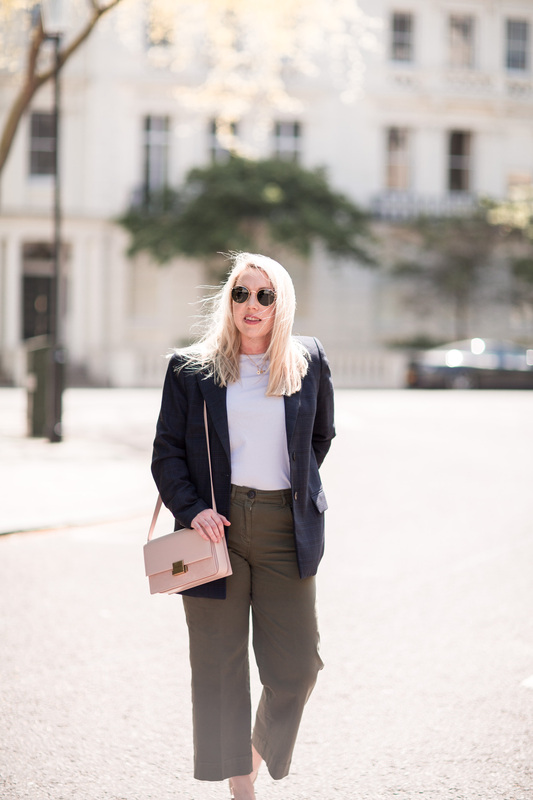 I say ‘fresh in’ but I actually took these pictures back in May time when I first bought these Hoxton Chino’s from Jigsaw (you may remember the pantaloons from this post) and I’ve been wearing the look quite religiously since. 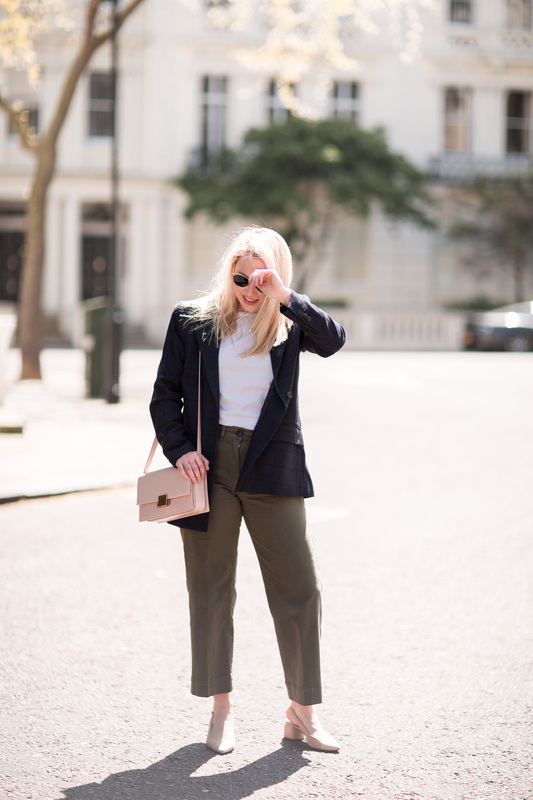 But this is ‘fresh in’ on the blog … so without further ado.
. JIGSAW HOXTON CHINO CULOTTES (NEW SEASON) . COS TEE . 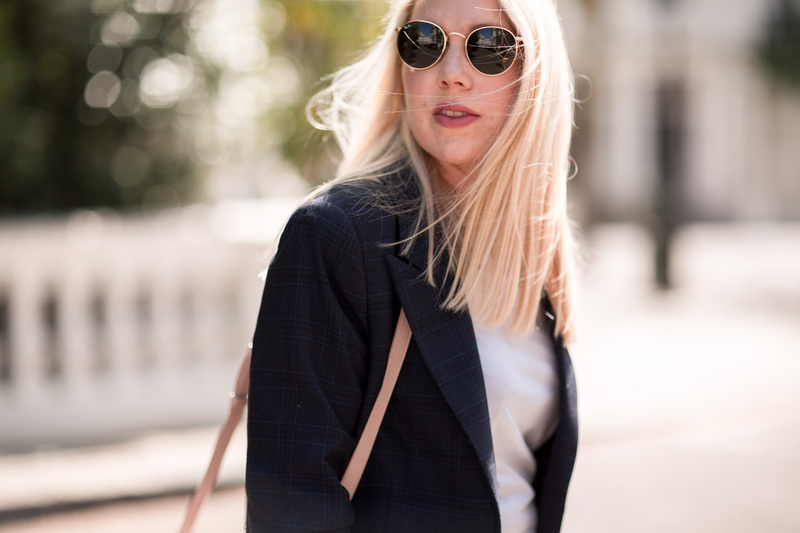 MANGO BLAZER (NEW SEASON) . SAINT LAURENT BELLECHASSE . 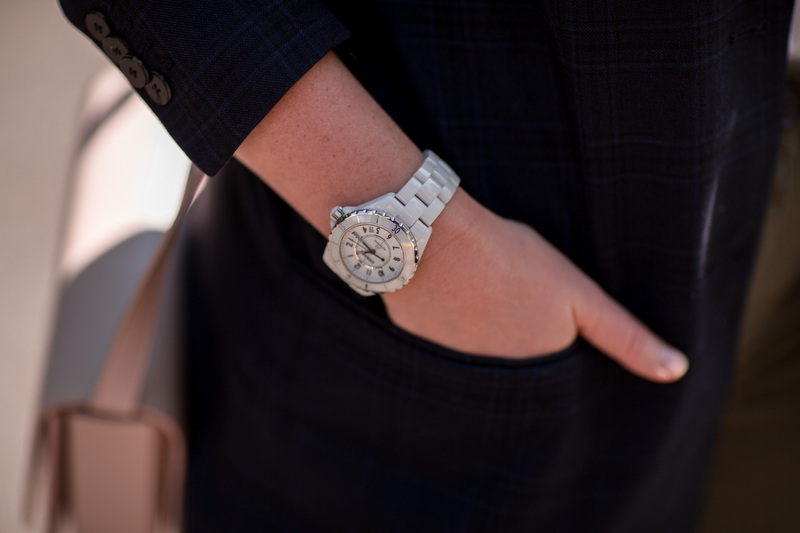 CHANEL J12 . 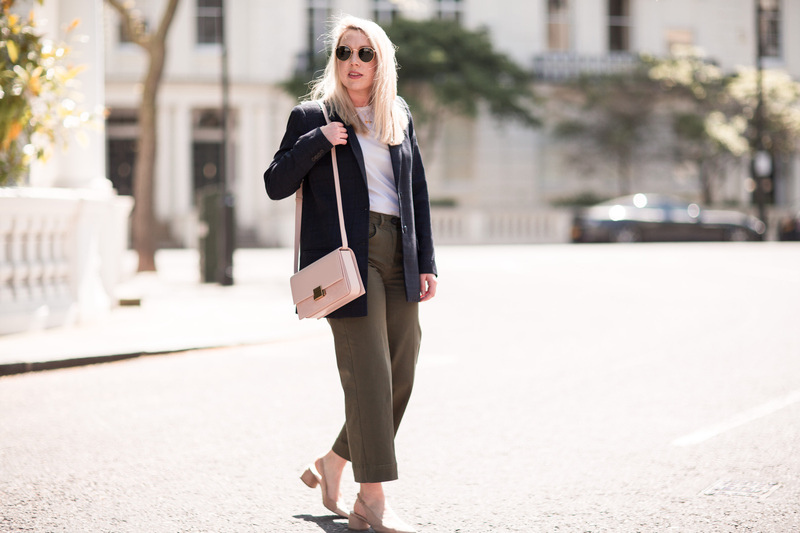 These cropped trousers have proven a fail safe investment piece, so much so that I actually bought the new season navy pair too – the khaki seem to have stopped being sold now, so i’m fashionably late in sharing the purchase. Excuse the pun. 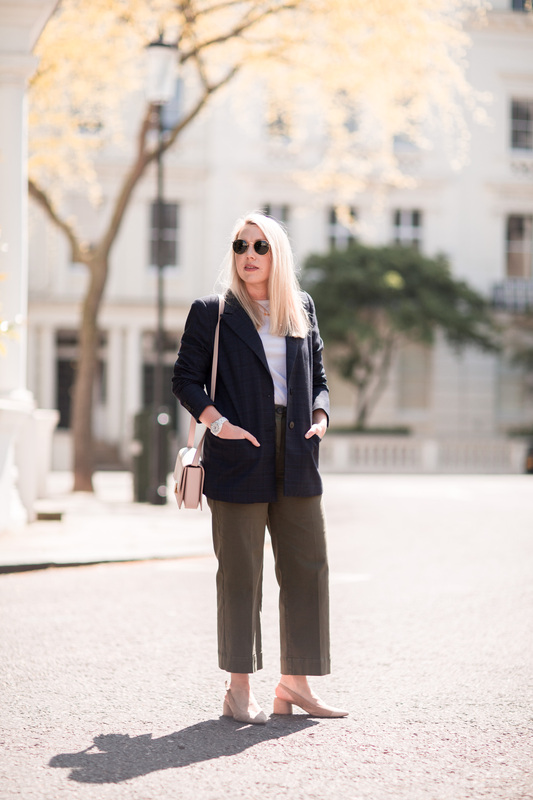 Anyway, the trousers are perfect teamed with a casual tee and of course an over-sized blazer. 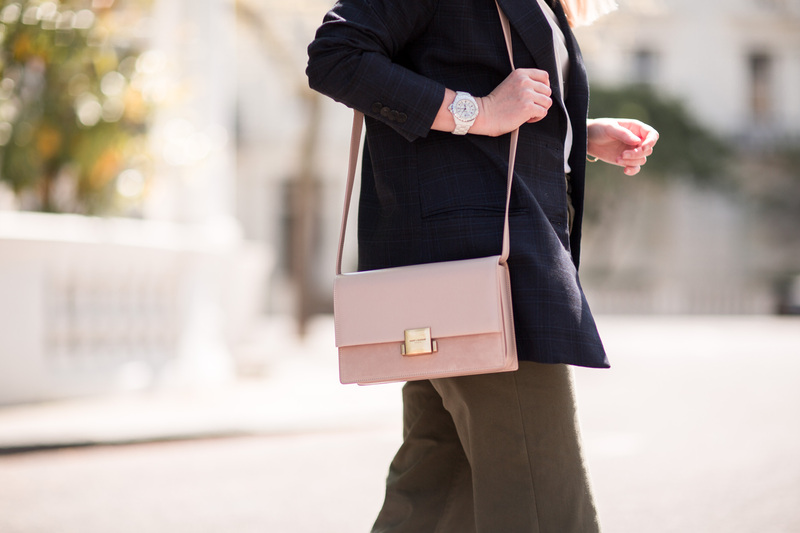 I find the blazer is much more flattering on my derriere than without it, and actually smartens the look a touch too. If I had Chanel pumps I would have teamed it with them, but for now some old Mango lookalikes worn alongside my beautiful Saint Laurent Bellechasse bag which I spent 4 months obsessing over before Jase bought me it as a very special 30th birthday present (i didn’t go on about it I promise), and my beautiful J12 which was another birthday spoil which I’ve spent the last 10 years obsessing over. 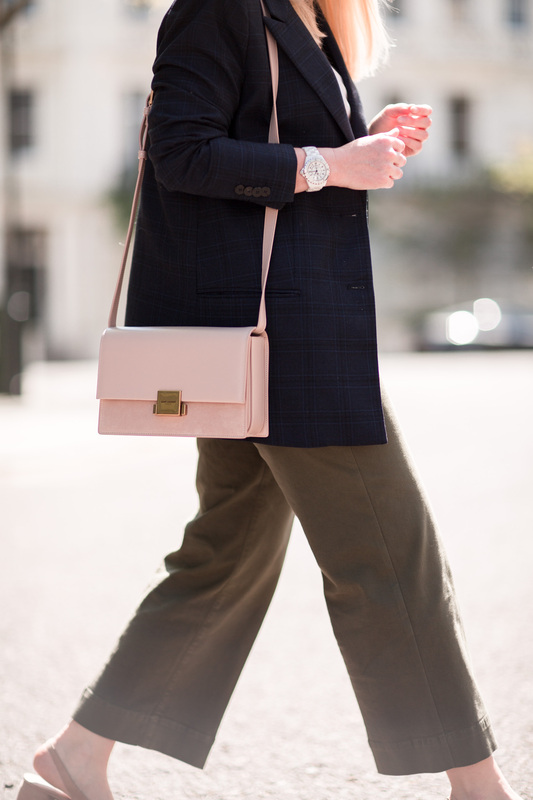 I’ve worn this look all summer long and I’ll be wearing it all Autumn long too. 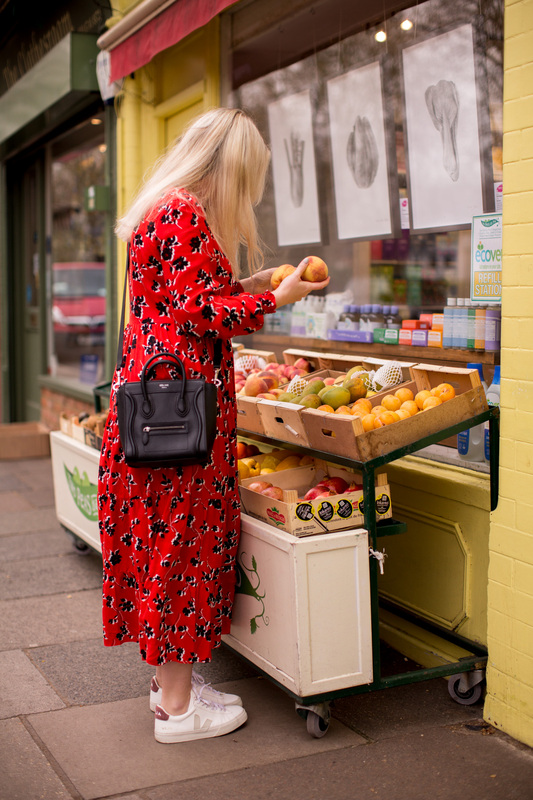 If it gets a bit nippy the extra layer of an oversized, maxi a line coat is perfect (something like this), or you can even upgrade the blazer to something a little warmer and made of wool like this one I’ve got in the post – size down it’s huge (for once, not usually AOS’s fortee). 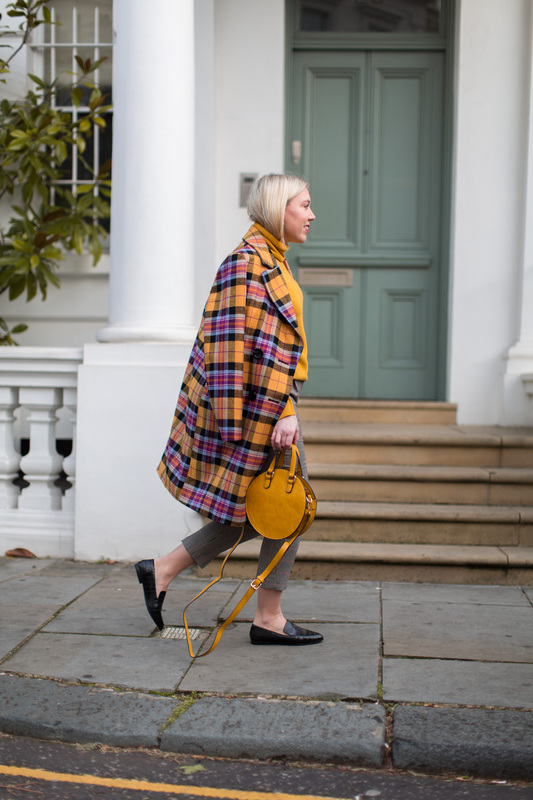 It works with trainers and boots, and when it gets really cold you can even swap the tee for a jumper underneath to give it that extra cosy feel. 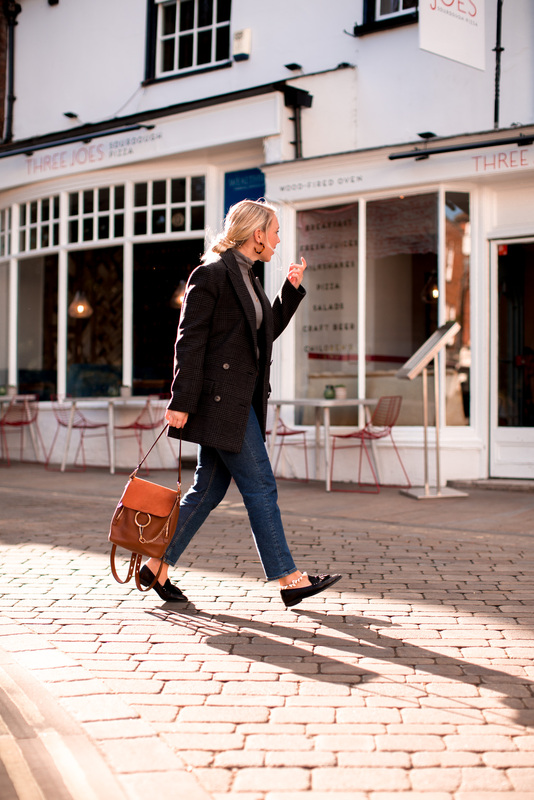 All in all this is my absolute go to look, no matter what the season really, but here’s my autumn edit to give you all a little outfit inspiration for this nippier weather. Gorgeous style Melissa. You look nice! 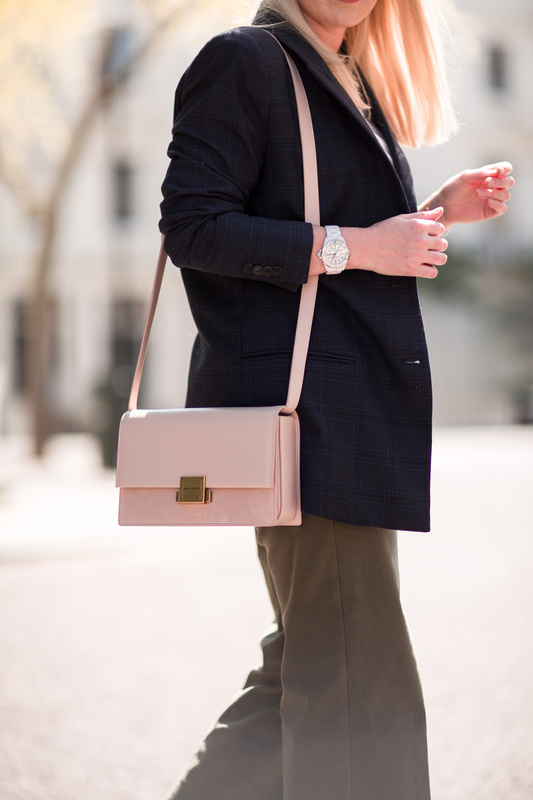 I just adore this bag!